The first of the Marriott Hotels and Maker’s Mark Bourbon Battles is in the books, marking a new whiskey and mixology-based focus for the international hotel chain and the master distiller. 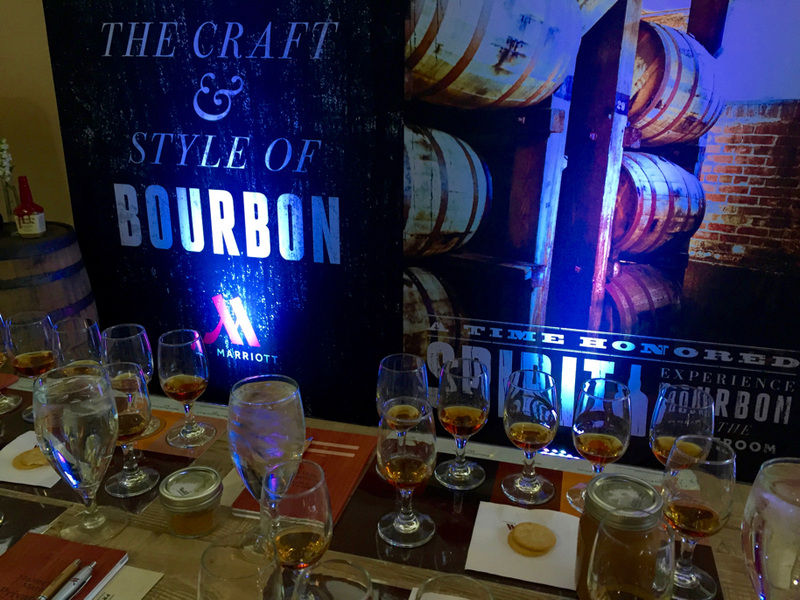 Hosted at the Griffin Gate Marriott Resort and Spa in Lexington, Kentucky, this was the first of the Marriott’s Bourbon battles. It kicked off the five city tour in which prominent local bartenders square off against each other creating three cocktails for judges to evaluate. After Lexington, the battles move to Portland, Calgary, and Boston before the five winners collected in each city head to New York for a final showdown on National Bourbon Day (June 14). 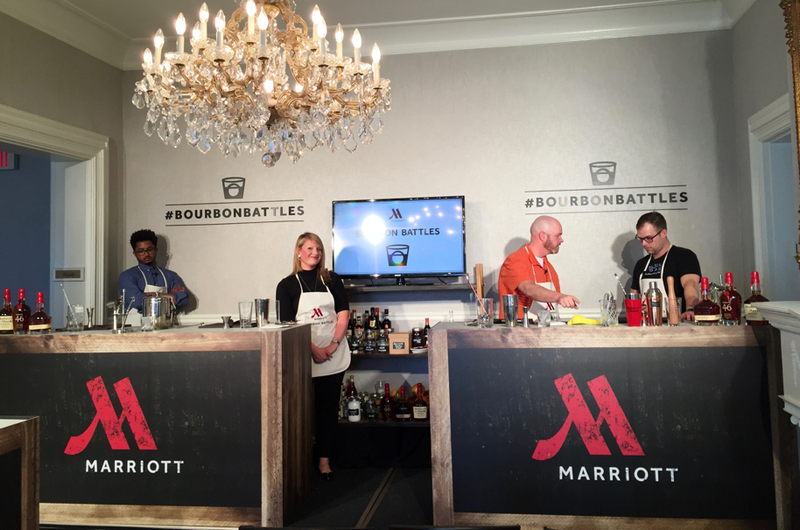 These Bourbon Battles are set up to celebrate the new Marriott Hotels Bourbon Program. At Marriott locations across the country, guests can sign up for this all-inclusive bourbon experience including a tasting and educational experience using Maker’s Mark varieties. 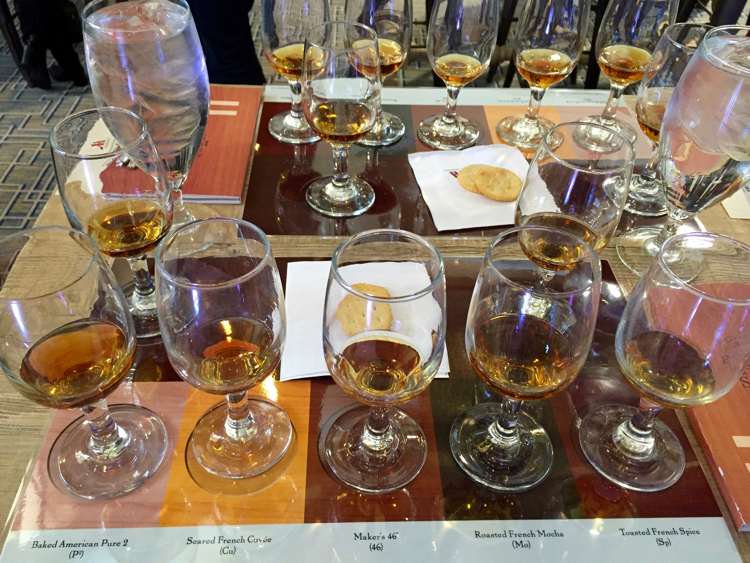 The Bourbon Program offers whiskey aged in different wood barrel stave options Maker’s Mark uses to age their product, including Baked American Pine, Seared French Cuvee, Toasted French Spice and Roasted French Mocha. Of course, the standard Maker’s Mark and their 46 variety are on hand for pure enjoyment purposes. Four Lexington mixologists hit the stage for this kick-off Bourbon Battle, with each asked to make two classic cocktails (or their takes on them) and one original recipe of each bartender’s own creation. The come from behind winner for Lexington was Ashley Sherrow of the very same Griffin Gate Marriott. Of course, one might suggest that perhaps the fix was in for this big Marriott bourbon-themed launch, but nobody cared as the smiling masses were too busy enjoying limitless free Maker’s Mark cocktails from two open bars and food from some of the best chefs in the city. The next of the Bourbon Battles is all set for May 12th at the Portland Marriott Downtown Waterfront.